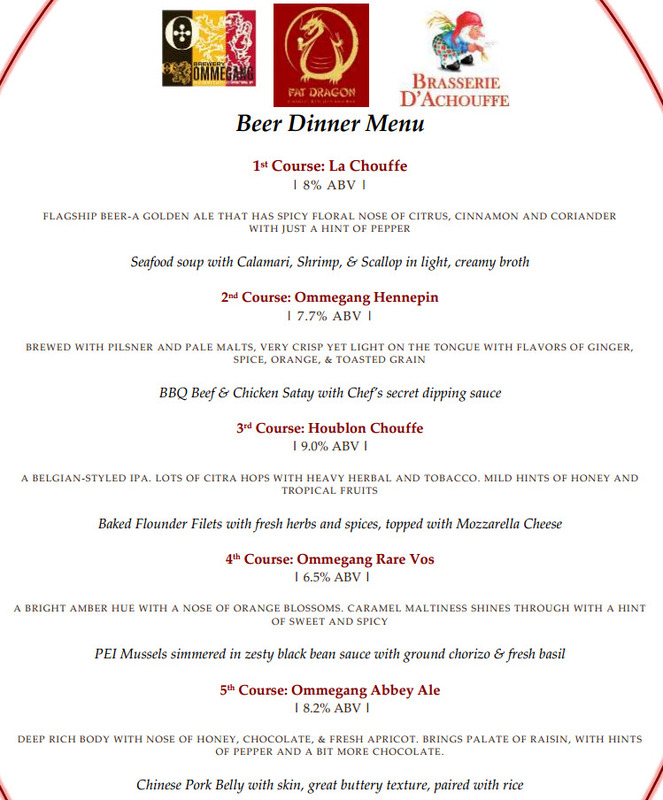 Check out the menu for the Ommegang Beer Dinner at Fat Dragon next Wednesday March 19th at 6:30pm. The cost for the dinner is $50/person plus tax and tip. Reserve your seat by calling the restaurant at (804) 354-9888 or emailing Katrina at katrina.mitchell@eatrestaurantpartners.com.